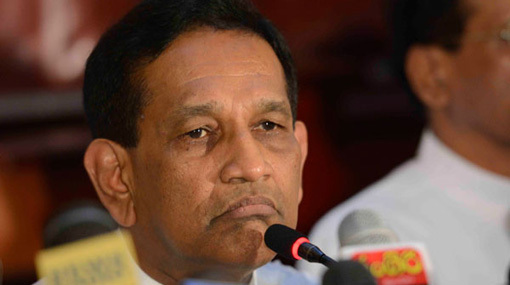 Cabinet Spokesperson, Minister Rajitha Senaratne claims that he was offered a bribe of Rs 20 million per month in order to cover up the ‘Avant-Garde’ issue. Speaking at post Cabinet media briefing in Colombo today, the Minister of Health and Indigenous Medicine stated that the individuals who attempted to bribe him earn a monthly income of around Rs 250 million. Refusing to divulge any names, Dr. Senaratne alleged that because the attempt to bribe him had failed they had spread a story accusing his son of detaining an underage girl. He further said that the bribe had been extended through one of his friends and that he did not disclose the incident because of that friend. The minister says that he is in the possession of an audio tape proving the attempted bribe. Responding to a question regarding yesterday’s court order preventing former Defence Secretary Gotabaya Rajapaksa’s arrest, Dr. Senaratne said that the decision proves the independence of the judiciary. “Back in the day, these things changed with one call from the President,” he remarked.